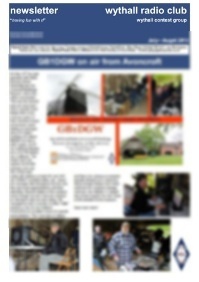 wythall radio club | An unexpected award! A certain law predicts that as soon as one says things have gone quiet, they start perking up again! Following the last published post, it came to our attention that Wythall Radio Club member Dave G3YXM had that very morning received a most unexpected surprise, courtesy of Royal Mail! 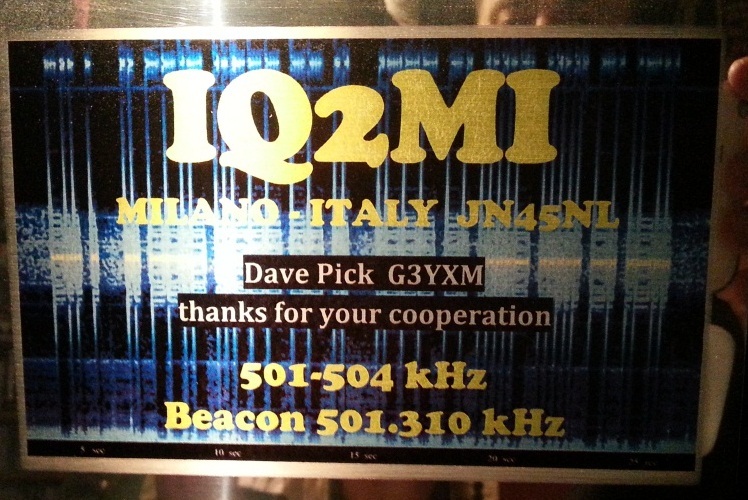 In the post arrived a letter and a rather fine commemorative plaque from Giulio, I2FGT on behalf of the IQ2MI 500 kHz Propagation Beacon Group. Amateur Transmissions recently ended on the 500 kHz Band as we now have an allocation at 472 kHz instead. However, most of the tests that led to the official award of these frequencies to the Amateur Community are assisted by hobbyists such as Dave taking such a keen interest in propagation. 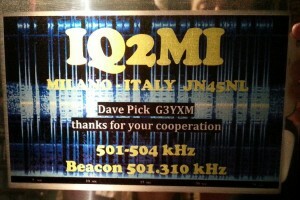 So well done to Dave and we are sure he will be looking forward to working a few of you on 472 kHz this year! ← All Quiet on the Wythall Front?